American Jewish Committee “troubled” by Israeli law banning entry to foreigners who publicly call for boycotting the Jewish state. WASHINGTON (JTA) — The American Jewish Committee said it was “troubled” by a new Israeli law banning entry to foreigners who publicly call for boycotting the Jewish state or communities in Judea and Samaria. “Every nation, of course, is entitled to regulate who can enter, and AJC, a longtime, staunch friend of Israel and opponent of the BDS movement fully sympathizes with the underlying desire to defend the legitimacy of the State of Israel,” AJC CEO David Harris, said Tuesday. “Nevertheless, as history has amply shown throughout the democratic world, barring entry to otherwise qualified visitors on the basis of their political views will not by itself defeat BDS, nor will it help Israel’s image as the beacon of democracy in the Middle East it is, or offer opportunities to expose them to the exciting and pulsating reality of Israel,” Harris said. The AJC’s statement, released a day after the law’s passage, was the first signal from the American Jewish establishment that it was unhappy with the law. An array of American groups on the left — including J Street, Americans for Peace Now, Ameinu, the New Israel Fund and T’ruah — condemned the law as soon as it passed. 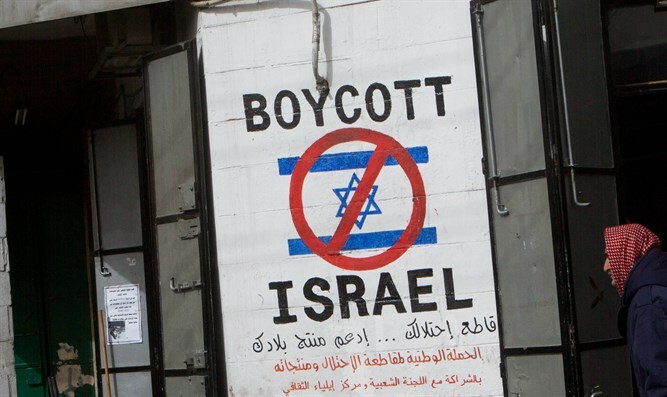 The ban applies to any foreigner “who knowingly issues a public call for boycotting Israel that, given the content of the call and the circumstances in which it was issued, has a reasonable possibility of leading to the imposition of a boycott – if the issuer was aware of this possibility.” It includes those who urge boycotting areas under Israeli control, such as the West Bank settlements. Backers of the bill say it would be used only against those active in organizations that support BDS, and would not block an individual for something she or he might once have said.